We're excited to announce this Summer's Custom Neck Sale! 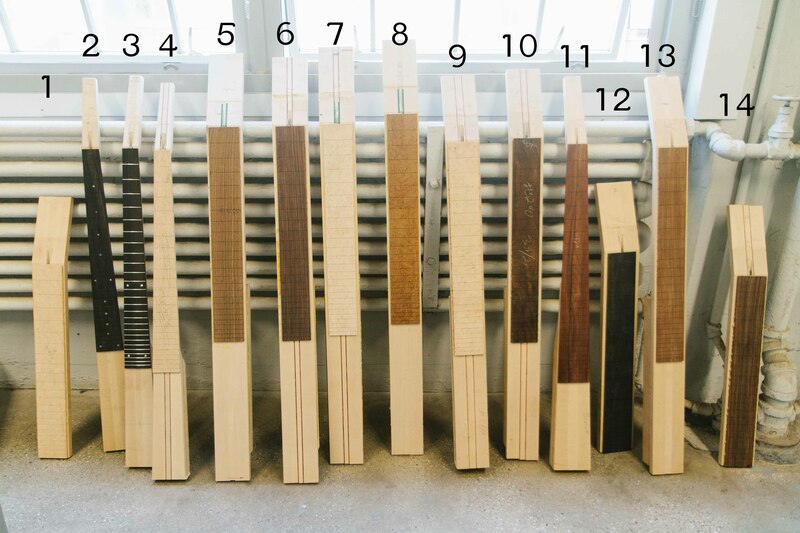 Throughout the year, we collect necks from either production slots that had to be canceled or were built with specs that didn't perfectly fit an order. However, our loss is your gain, as it gives us the opportunity to offer instruments built with these necks at great savings! This is only the third time we have had a Pre-Built Custom Neck Sale in the past 5 years, and the last Custom instrument sale we will have this year. For this year's sale we have 14 custom pre-built necks that are ready for your next Custom bass. Many of these necks include significant upgrades such as stringers and exotic fingerboards (including Brazilian Rosewood and Roasted Birdseye Maple), all available at no up-charge for any new Custom bass order. For those necks that do not feature up-charge options, a $500 credit is available to you for any new Custom bass order. In addition to the savings you get by utilizing these pre-built necks, we are also extending 10% off the entire build to those who take part in this sale. We don’t expect these necks to last long and necks will be sold on a first-come-first-served basis so, if you are interested, please contact us as soon as possible. If you have any questions or would like to get a custom quote for your Custom bass build, feel free to contact info@fodera.com and a member of our team will get in touch as soon as possible! We don't expect these to last long so don't miss this opportunity! To see an image of each available neck along with its complete specifications, click here. 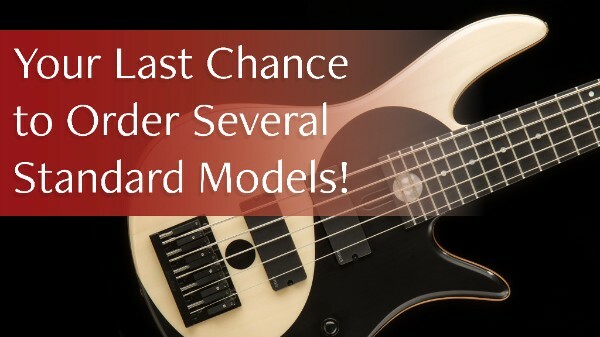 The absence of these models is intended to make room for some brand new and exciting models which will premier at the 2017 NAMM show.You still have one last chance to purchase these models as we will be taking orders for each of the Standards listed above (as well as all other Standard models) for Q4 delivery. Our open order period for Q4 Standard Deliveries will be between now and July 31st for delivery between October and December of this year. After July 31st we will no longer be accepting orders for the above Standards. Finally, we are also discontinuing the Select Series of Custom instruments. Announcing our clinic with Anthony Wellington!